This lightweight polo shirt from the Fruit of the Loom range offers great quality at a low price. It's available in a wide range of colours and sizes and it's ideal for embroidery and screen printing. 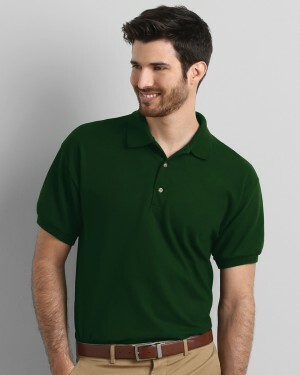 The Fruit of the Loom men’s polo shirt is a great value for money for those looking to bulk buy polo shirts. Available in a wide range of colours and suitable for embroidery and screen printing, this is ideal for polo shirt printing. The high quality men’s polo shirt is a great choice of garment for those looking for custom polo shirts.